Microsoft said late Friday that a pair of Windows Phone 7 flavored handsets on AT&T, the LG Quantum and the Samsung Focus, have made it past the testing phase and should receive the "NoDo" upgrade within the next 10 days. A third model, the HTC Surround, is still in testing because of third party software, probably from the manufacturer, that requires a further look. The "NoDo" update will add copy and paste functionality to the OS. The upgrade also speeds up third party apps and parts of Windows Marketplace, like searches for instance. 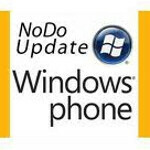 International carriers and T-Mobile in the States have already had their Windows Phone 7 handsets upgraded with "NoDo" and Microsoft has hinted that it is not resonsible for the delay, putting the blame on AT&T. all 4 people that purchased the phone's will be happy..